Monterrey is the third largest city in Mexico with a population of 1.1 million in the city and 5.3 million in the metropolitan. This seems like a lot but the city is not built around a church like in Europe, meaning that the people are more spread out over the city. 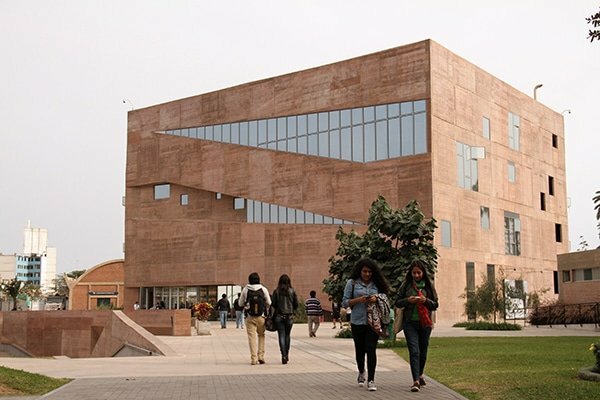 The city is known for being an important industrial and business center in Mexico and for the headquarters of one of the best universities in Latin America: Tec de Monterrey. There are opportunities enough to do an internship or a semester exchange and with the lively city and crazy nightlife will it be an adventure you have not dared to dream of. Monterrey is located in the North East of Mexico and is surrounded by many high mountains. One of the mountains called Cerro de la Silla is often climbed and being at the top gives you a mesmerizing view of the city. You have to wake up early though, climbing for 3 hours in the hot sun is only for the diehards among us. Monterrey is one of the warmest major cities in Mexico with an average max temperature of 27.5 degrees Celsius (including night temperatures!). If you arrive in January you should not be surprised by people having BBQ’s at the pool with a temperature of 21 degrees Celsius. To enjoy the beautiful weather many go to Park Fundidora. This is an incredible public park with an area of 142 hectares and contains an indoor arena, thematic Sesame Street park, and enough nature to relax after a long week at your internship or university. In the forest around Monterrey you can find (or better not find) cacomistles, foxes, rattlesnakes, deers and even black beers. Unless you have experienced the culture in Monterrey it’s quite hard to really understand it. You might have heard that Mexicans are always late, only drink tequila or have a siesta all day. This is not true, well not all of them. They do love their tequila but in Mexico there are many more flavours than the one you normally drink before you squeeze the lemon into your eyes. Mexicans are a lot more flexible in their timing. When you meet up with friends you should be glad there is no one commanding you to be there at a specific time. Chill, it’s not school. If they have an important meeting for work or similar they will be on time though. And the ‘mañana culture’ with the long siestas is also a myth. Most office jobs in Monterrey are from 8am to 6pm, which is even longer than the 9am to 5pm you might be used to. Music, dancing and singing are also an important part of the culture of Monterrey. There are enough amazing places you can go to, to party until early in the morning, such as the bars in Barrio Antiguo or the Miami-like clubs in San Pedro Garza Garcia. The locals are extremely friendly, very open to internationals and are always down to do something fun. The people will like you as much as you will like them. Although the weather invites you to swim all day with a nice cocktail on the side, there will be times that you will have to change your flip flops for proper shoes and go explore the city. One of the most eye-catching sights is the Macroplaza in the city center. This belongs to on the world’s largest squares and is the cultural heart of Monterrey with stunning monuments, green areas and monumental buildings. Other names on your bucket list should be the mountain Cerro de la Silla, the university Tec de Monterrey, Paseo Santa Lucía, Parque Fundidora, and Barrio Antiguo. The cost of living in Monterrey is a lot cheaper than in most European countries. To give a comparison with Amsterdam, restaurants are 60% cheaper, rent 80% cheaper and groceries 50% cheaper. If you love meat than Monterrey is the place for you. On the weekends many families have the tradition of ‘carne asada’ (roasted meet). This is when they BBQ onions, potatoes, sausages and eat a lot of tacos. Try to get yourself invited by a local family and if you really want to fit in you should not forget to bring a six pack of Tecate beer. Monterrey is also known for it Cabrito (roasted lamb), Pan de Semita (bread without leavening), the Capirotada dessert (a mix of cooked bread, cheese, raisins, peanuts, and crystallized sugarcane juice) and the machacado con huevo (dry beef with eggs). Don’t mind applying the table manners your mother has tried to teach you so badly. A lot of the food can be eating with your hands.